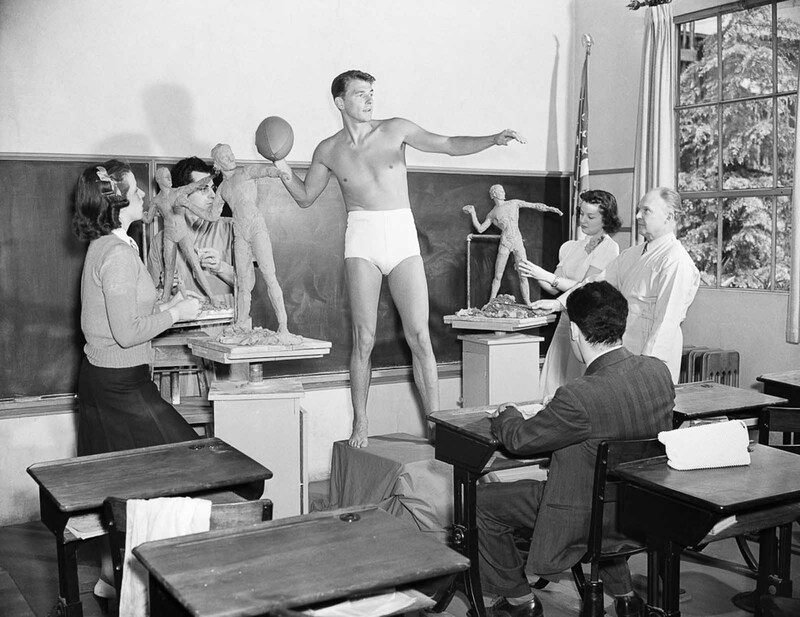 Ronald Reagan poses for a sculpture class at the University of Southern California. 1940. He was the 40th president of the United States, but first, he juggled monkeys for Hollywood. 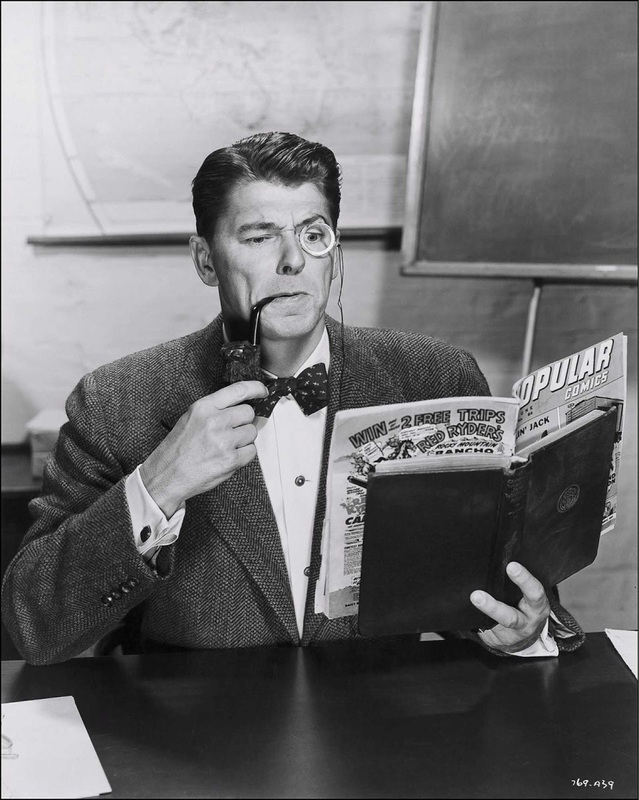 Ronald Reagan started his career in show business in Des Moines, Iowa as a radio announcer for baseball games. 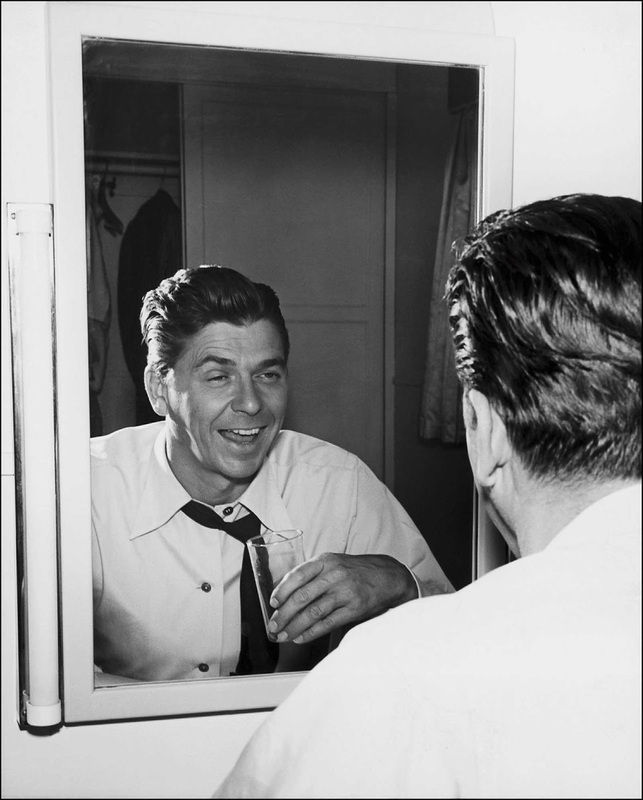 In 1937, while in Southern California to cover the Chicago Cubs’ spring training season, Ronald Reagan did a screen test for the Warner Brothers movie studio. 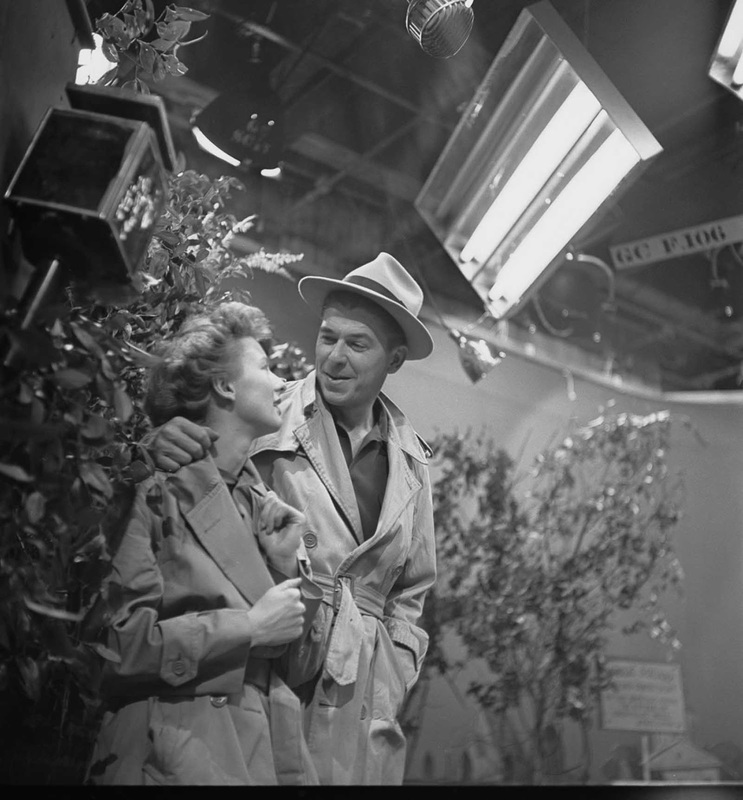 The studio signed him to a contract, and that same year he made his film debut in “Love is on the Air,” playing a radio news reporter. Over the next three decades he appeared in more than 50 movies. 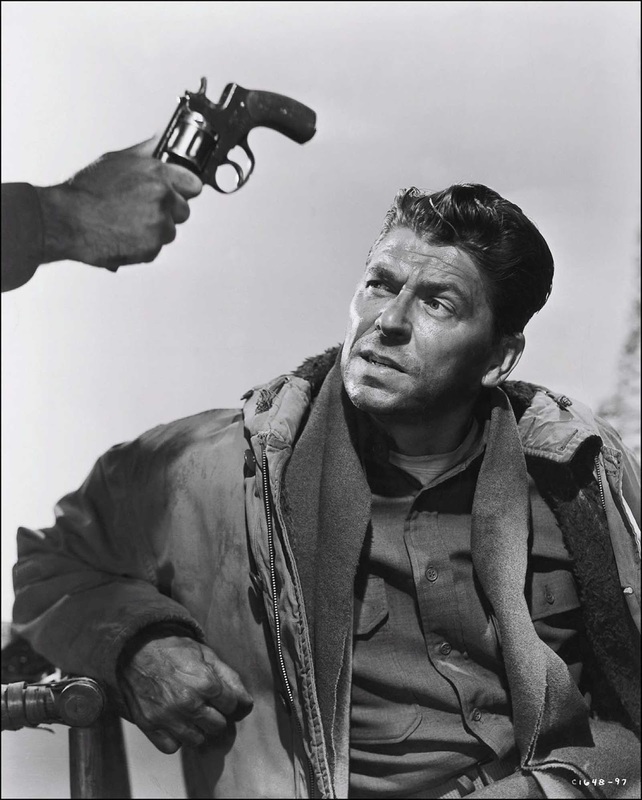 Although Reagan called Kings Row the film that “made me a star”, he was unable to capitalize on his success because he was ordered to active duty with the U.S. Army at San Francisco two months after its release, and never regained “star” status in motion pictures. 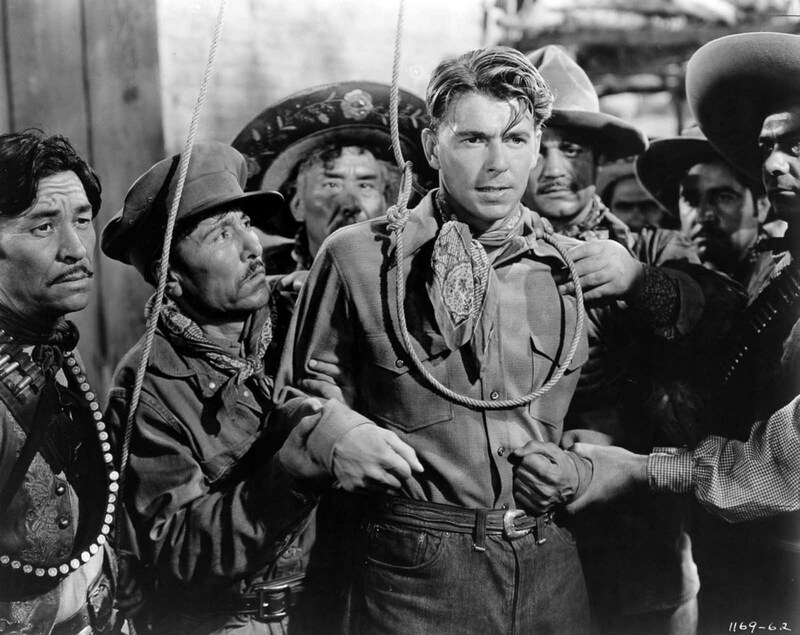 In the post-war era, after being separated from almost four years of World War II stateside service with the 1st Motion Picture Unit in December 1945, Reagan co-starred in such films as The Voice of the Turtle, John Loves Mary, The Hasty Heart, Bedtime for Bonzo, Cattle Queen of Montana, Tennessee’s Partner, Hellcats of the Navy (the only film in which he appears with Nancy Reagan), and the 1964 remake The Killers (his final film). 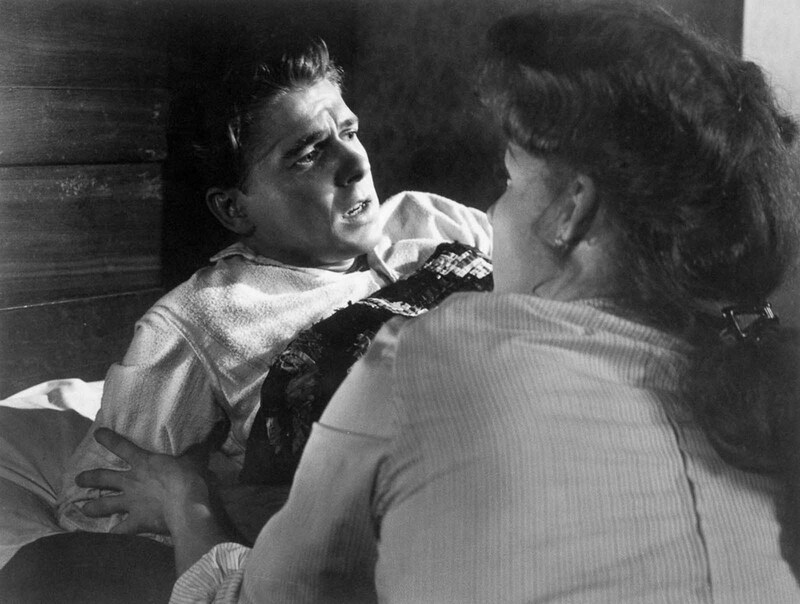 Throughout his film career, his mother answered much of his fan mail. 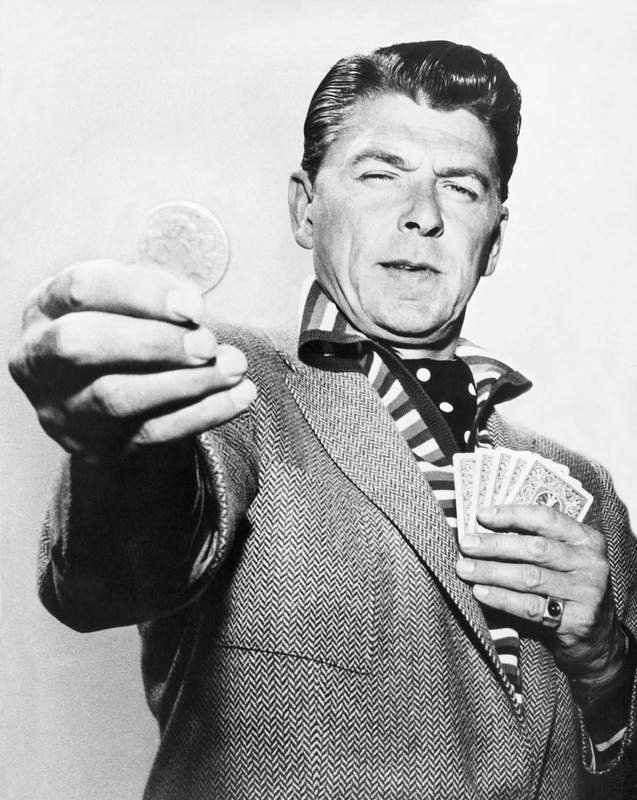 From 1954 to 1962, he hosted the weekly television drama series “The General Electric Theater.” In this role, he toured the United States as a public relations representative for General Electric, giving pro-business talks in which he spoke out against too much government control and wasteful spending, central themes of his future political career. 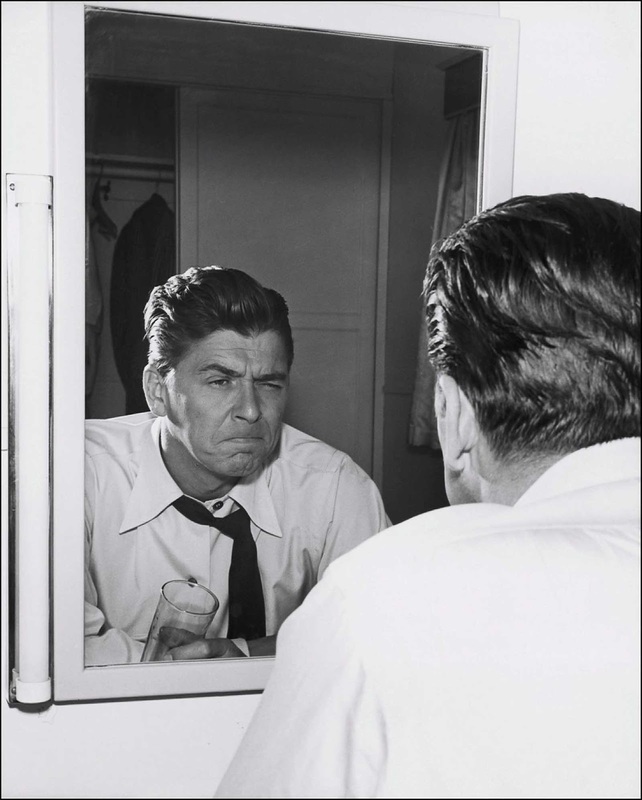 Reagan in The Bad Man. 1941. 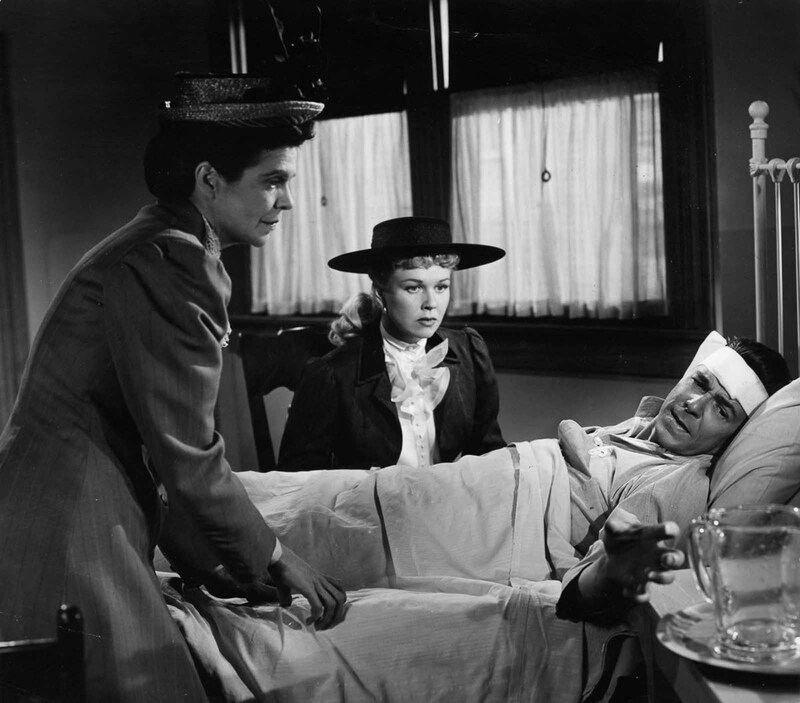 Reagan performs in The Winning Team alongside Dorothy Adams and Doris Day. 1952. 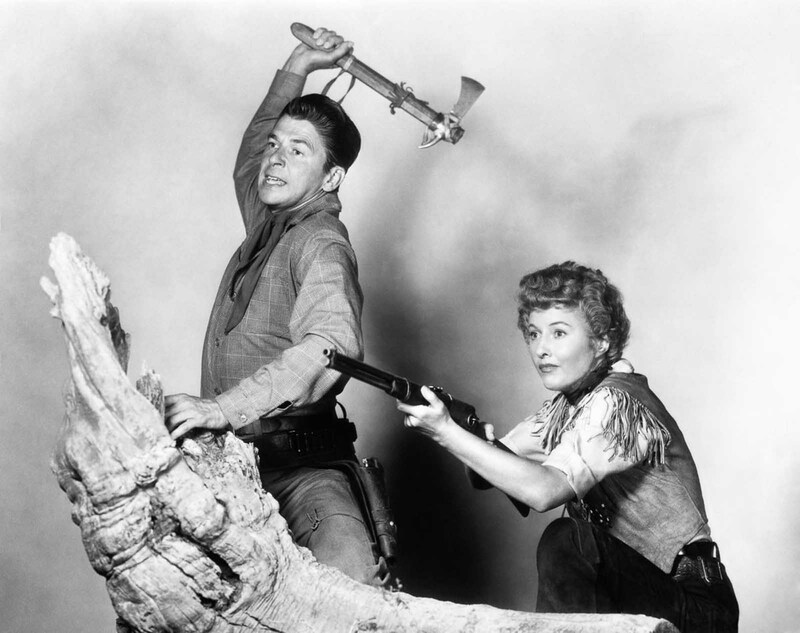 Ronald Reagan and Barbara Stanwyck in a publicity still for Cattle Queen of Montana. Reagan in Kings Row. 1942. 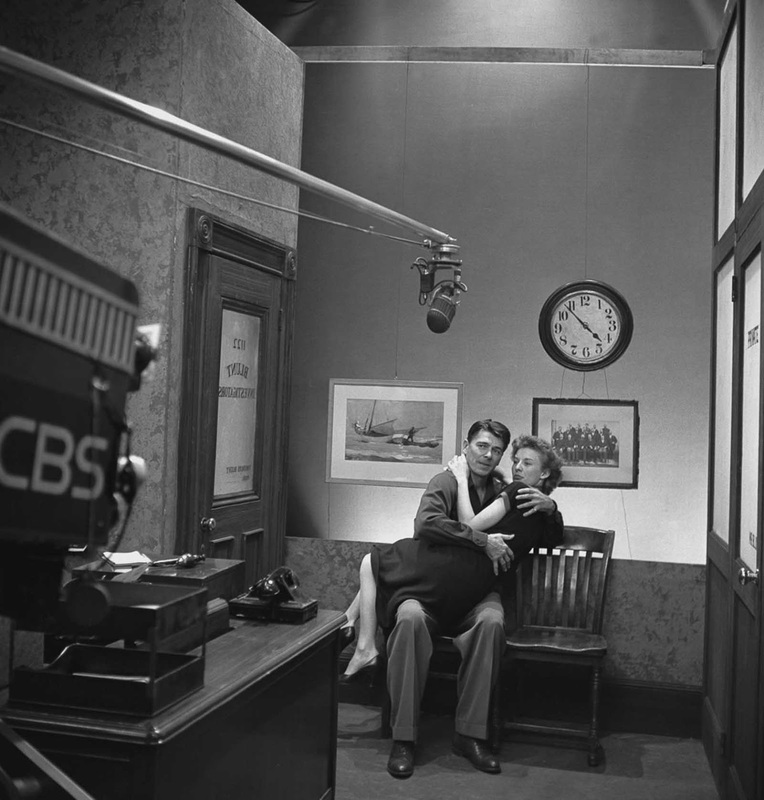 Reagan performs with Cloris Leachman on an episode of Nash Airflyte Theater. 1950. 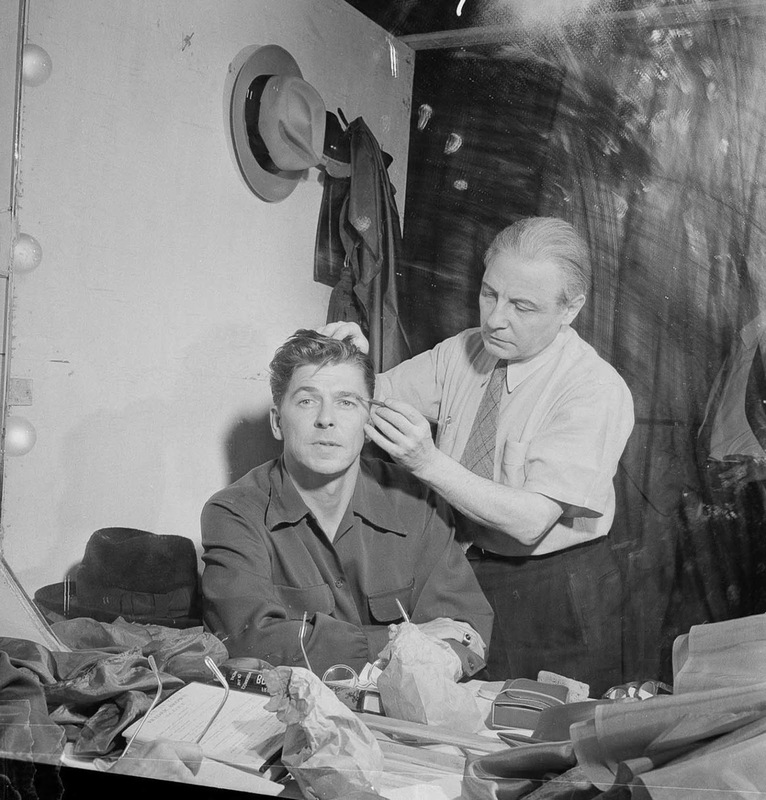 Reagan gets made up for an appearance on an episode of Nash Airflyte Theatre. 1950. 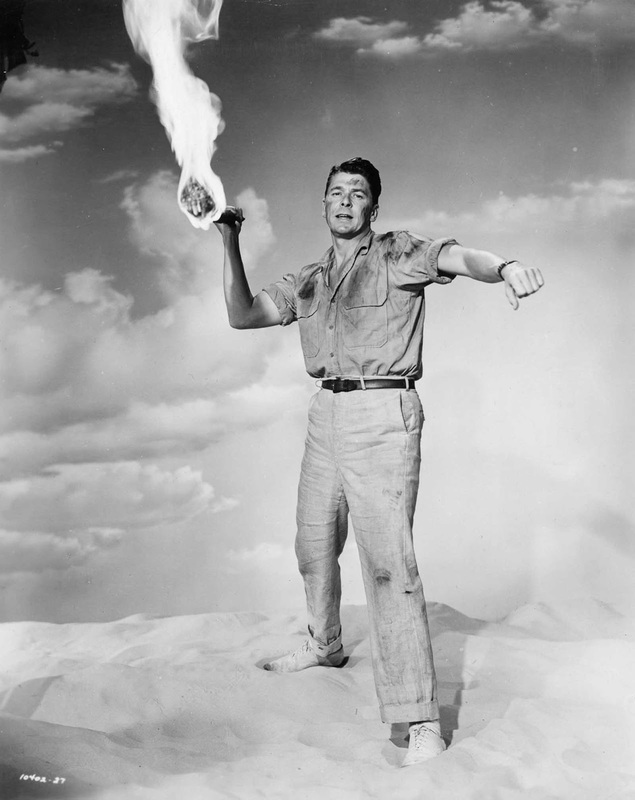 Reagan poses in a promo still for Tropic Zone. 1953. 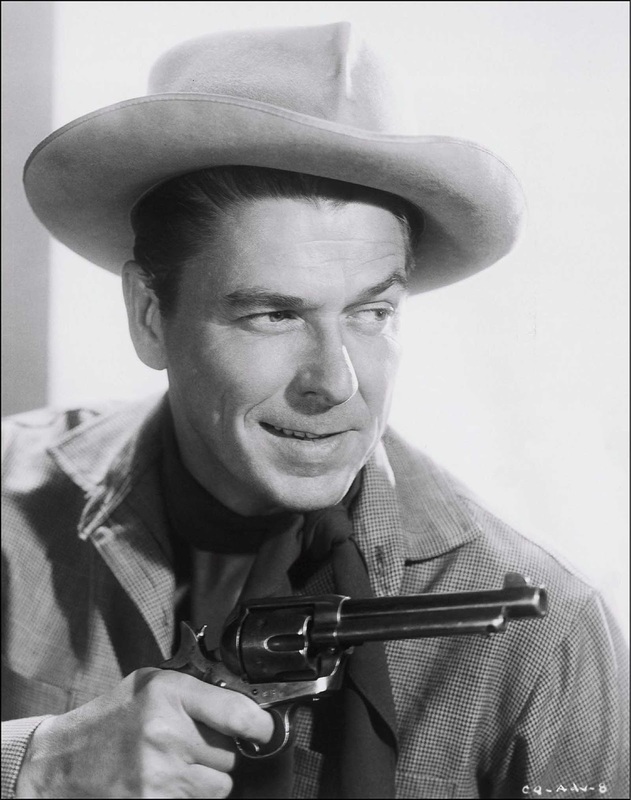 Reagan performs on the television show Death Valley Days. 1955. 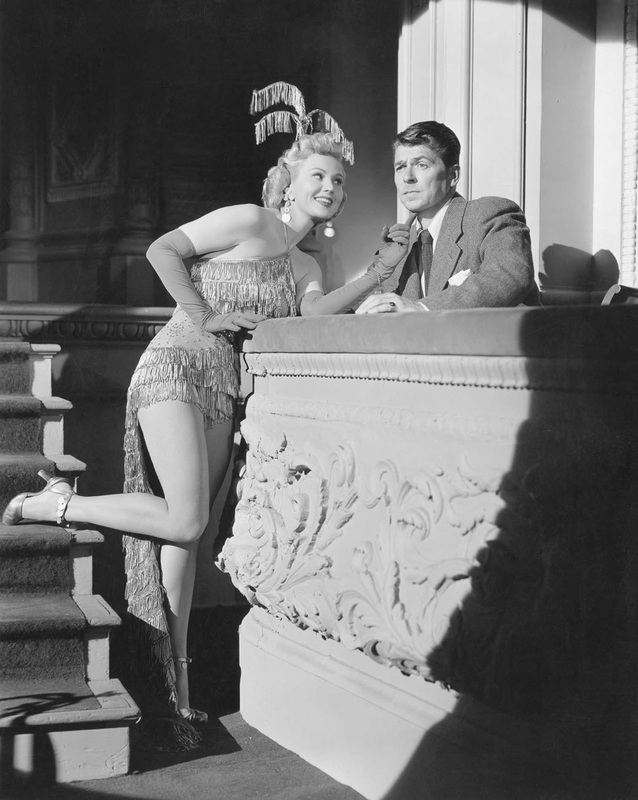 Reagan and Virginia Mayo perform in She’s Working Her Way Through College. 1952. 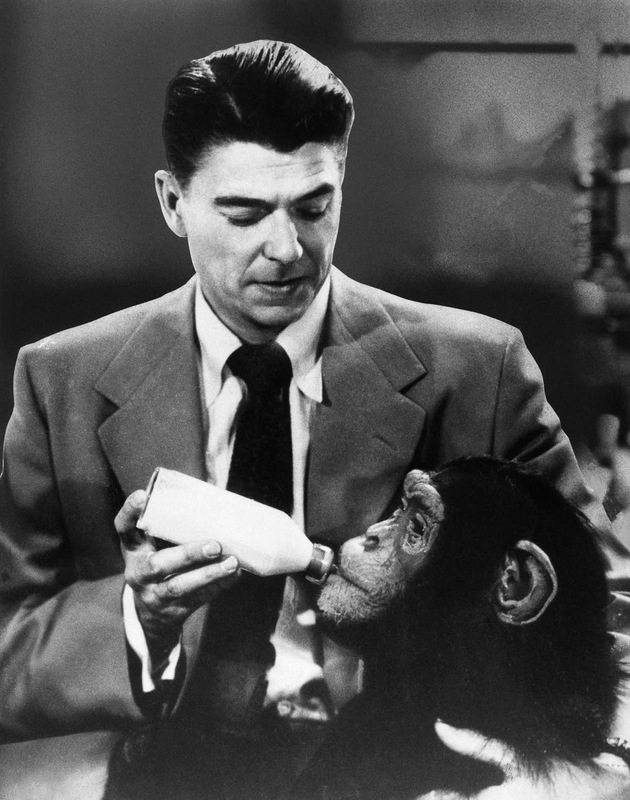 Reagan feeds his simian costar in Bedtime for Bonzo. 1951. 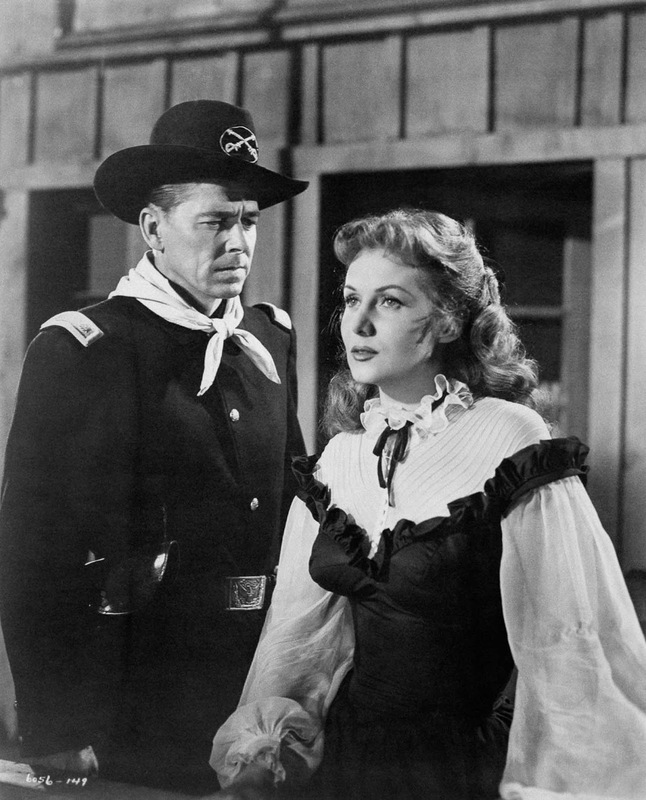 Reagan performs with Rhonda Fleming in The Last Outpost. 1951. 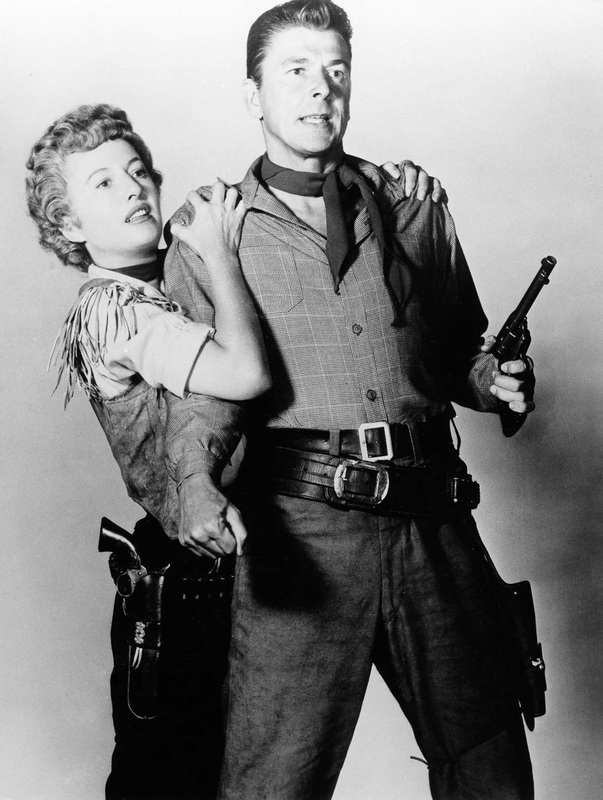 Reagan and Barbara Stanwyck pose for a promo still for Cattle Queen of Montana. 1954. A promo still for Cattle Queen of Montana. 1954. 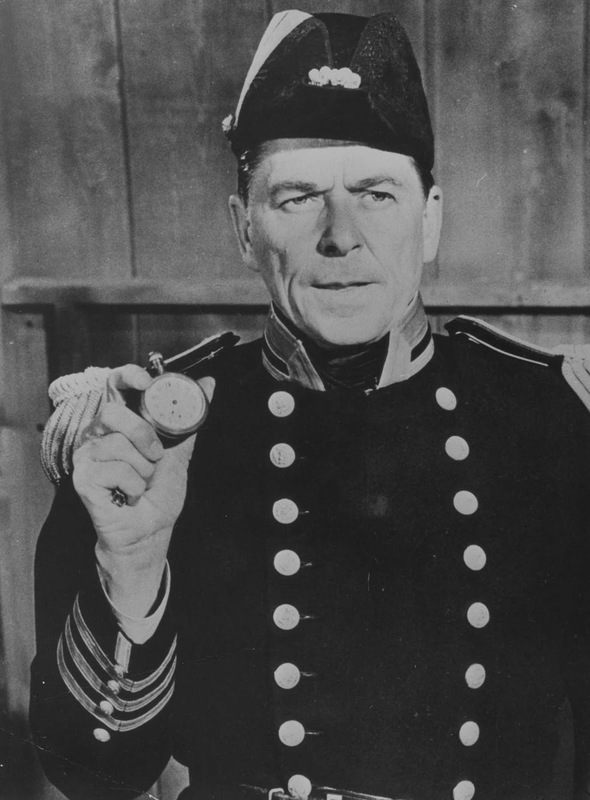 Reagan performs in the General Electric Theater CBS teleplay The Lord’s Dollar. 1958. From a movie set. 1960. (Photo credit: Image: GAMMA / Getty Images). Mediocre actor, superb President. Thanks, Nancy, for sharing him with the world. I hope you're both resting in peace.